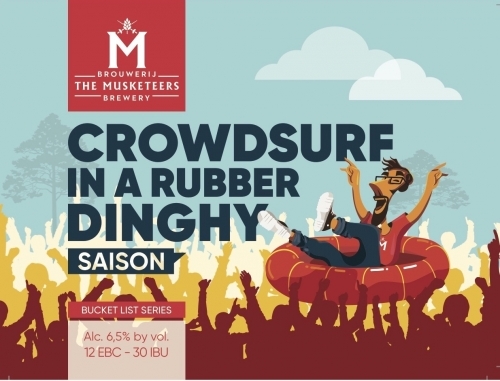 Crowdsurf In A Rubber Dinghy – Saison is a typical thirst quencher. The light beer (12 EBC) with 6.5% alcohol has a dry aftertaste and is slightly acidic. The mild bitterness of 30 IBU makes the beer accessible to a wide audience. A strong carbonation and an atypical citrus note gives the beer a sparkling character, ideal for a warm summer evening.